Economist urges Oregon and Washington legislators to 'refuse to make the same mistakes' that doomed earlier efforts. In the first meeting between Oregon and Washington lawmakers to discuss a revived replacement plan for the Interstate 5 bridge on Tuesday, Oregon legislators made it clear they aren't over Washington's 2013 move to blow up the approximate $3 billion Columbia River Crossing project. Oregon Sen. Cliff Bentz, R-Ontario, reminded his Washington counterparts on the panel that he put a lot of political capital in shepherding the first project through the Oregon Legislature. "I can assure you I'm not enthusiastic about going through that process again," Bentz said, adding he was at the meeting to listen and see if Washington lawmakers "can convince us if you're for real" this time. Talk of replacing the 100-year-old Interstate 5 bridge has long been one of the most divisive topics in Clark County. After a group of Washington lawmakers torpedoed the Columbia River Crossing project, it's taken years to convince their Oregon counterparts that they are committed this time. Twelve lawmakers — some from Oregon, like Bentz, and others from Washington, like Sen. Ann Rivers, R-La Center, who was instrumental in killing the CRC — sat at a long table in a nondescript building in North Portland near the Columbia River. 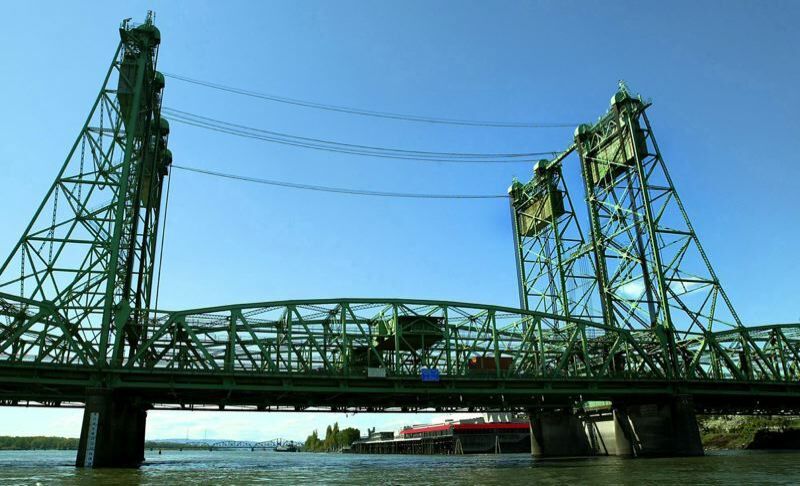 Oregon Sen. Lee Beyer, a Democrat who chairs the Senate Committee on Business and Transportation, reluctantly agreed it's time to start addressing the bridge once again. "Do I want to spend more time on this? No," Beyer said, noting they've spent about two decades on the project. "Do I feel like we should? Probably." The CRC, as it became known, would have replaced the bridge, rebuilt freeway interchanges and extended light rail from Portland to Vancouver, until Washington backed out of the project. Oregon tried to pass a version on their own, but the effort failed in 2014. About $200 million was spent in a planning process that started in 2001. One of the sticking points between the two states was mass transit. Oregon said the project needed light rail, while the Clark County community pushed back against the idea. Lawmakers didn't speak of public transit during their meeting Tuesday, but several commenters at the gathering brought it up. Steve Wallace, from Vancouver, told lawmakers to remember his community wants "lanes, not trains." Several lawmakers brought up the idea of pursuing more than one bridge. Oregon Rep. Richard Vial, R-Scholls, pushed the idea of a new highway west of Interstate 5 through Washington County. "It's a missed opportunity if we don't include a conversation of the need of a westside solution," he said before the meeting. Joe Cortright, a Portland economist, told the panel one of the reasons why the first effort failed was because some of the hard decisions — how much it will cost, who will pay for it — were put off until the end. He urged the group to "refuse to make the same mistakes." Both Oregon and Washington must show the federal government they are making progress on the project or they will have to return a chunk of the money. Oregon would owe about $93 million and Washington would owe $54 million. Washington Sen. Annette Cleveland, D-Vancouver, who has been influential in getting lawmakers in the same room again, said she was feeling hopeful after the meeting. There's still a long way to go, she said. "But I'm enthusiastic."